IT Rick Sterling – 2B44 is a retired electrical engineer who worked in the fields of electronic countermeasures with the US Air Force, F/A 18 Hornet computer flight control systems with the US Navy and commercial computer systems. Rick retired to Bear Lake in 2002 from upstate New York. Rick’s current interests are computers, music (playing keyboards), Amateur Radio Volunteer Examiner, web site design & maintenance, genealogy and genealogical DNA research. 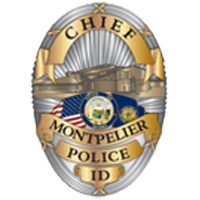 Rick sustains the Montpelier Police Department’s Information Technology requirements with computer software/hardware support and MPD web site/server design and maintenance.